Where'd it go! 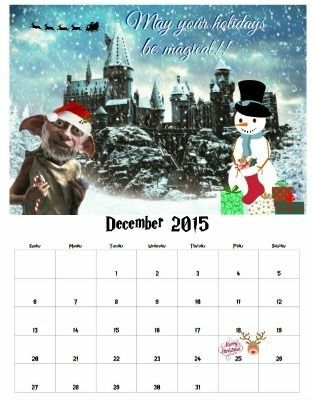 That was a fast year and now we have new wizarding world adventures to look forward to, so let's get it started!! P.S. Happy New Year !! Last edited by brattyc; January 1st, 2016 at 3:43 am. Looks like February will be a bit longer this year...watch out guys, it's leap year!! Sorry this is late , the holidays caught up with me. Oh by the way Harry! Sorry the calendar is late this month...I've been having a block for a new idea I'm hoping to get it done over the next few days. Thanks for your patience. Sorry there hasn't been any calendars lately, the block lasted longer than I expected...then when I had an idea I couldn't find the pictures I needed. 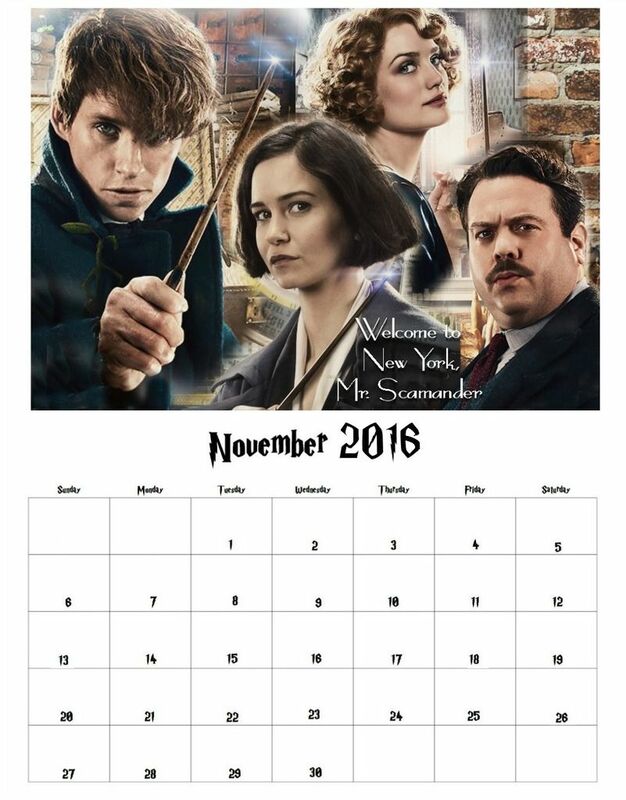 But with the approaching of Fantastic Beasts, I thought it would be a good way to welcome it. I love Pickett in the elf hat! Nicely done. Sorry I haven't posted the new calendar yet, it's still in the works. My old photo editing program won't work with Windows 10 so I now have to take the old calendars and cover the old dates and add in the new ones and it's a bit time consuming so hang in there I'll try to have something soon.